Robin Randle grew up in a violent home. One night she watched as her father shot her mother to death. Then he turned his rage against her. At the hospital she was pronounced brain dead. Kept alive by machines she slept and dreamed for seven months. Dreamed of traveling in a land called The Region. To escape she had to find a place called the Palace of Starlight. There she’d find a star that was hers. She took her star and woke up. When her coma ended her memories of The Region dissolved into bits and pieces of dream-time mixed with nightmares. Now a high school dropout and friendless she worked as a waitress at Mel’s All Night Diner. A listless existence that chipped away at her humanity. Then on her midnight walk home from Mel’s something real emerged from her nightmares and started following her. It wrapped itself in darkness and sounded like a thousand dead leaves blowing down empty and forgotten streets. She stopped and let the wind caress her. Then she felt something inside this wind, subtle and laced with ice. It was the monsters. It was death. She ran. Now her mind was confused. She knew that monsters weren’t real. Then a mysterious man showed up at her door telling her she was in danger. He demanded she come with him. Robin was living the impossible. Her mind splintered into different lives. Her memories shattered into broken moments. She realized the dreams from her coma hadn’t been dreams. She really had traveled in a land forsaken of hope and populated by monsters. Caught up in an evil plan created by the Prince of the Power of the Air everything around her seemed bent on her destruction. She felt helpless yet people called her, The Storm Bringer. Robin fought to unearth the truth of her existence as she slipped between worlds. She raced across America and between realities on a journey to unlock her memories before insanity sat in. What was her true purpose? Lost between darkness and wonder she searched for a valley of dying stars, a place of the unknowing. A place that should not be. A trap to keep her forever locked under the stars of madness. What she didn’t know was all the souls of the dead were depending on her not to fail. 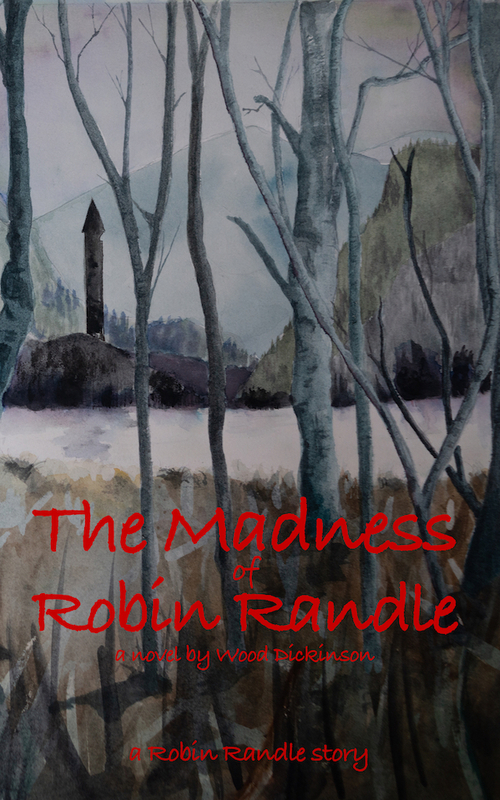 The Madness of Robin Randle grabbed my attention and carried me through the twists and turns of Robin’s quest for eternal truth. For Robin, the “pain of human life became near unbearable”, but how could that be she was just a young woman. Or was she? The author, Wood Dickinson, had me, like Robin, searching for the links to put this puzzle together. To make sense of the memories, the dreams, or perhaps it was all reality. I kept looking for the answers so I could figure out how the story would end. I could not. I could not put the book down till I knew the logical way to make sense of Robin’s journey. Is there such a thing as destiny, or fate, written before time began. I believe so. At times I felt confused while reading, the choppiness was not making sense but then I realized that was the intent of Dickinson. Like Robin, I felt her uncertainty, her vulnerability, her strength and resolve. A good read that leaves the reader wondering, could it all be true?